Shortly after the closing of California Treasurer John Chiang’s headlining event by the UC Riverside School of Public Policy entitled, “Why Resist when we can Lead?” in INTS 1128 at 4:30 p.m., the Highlander interviewed the California treasurer and prospective gubernatorial candidate for 2018 to discuss the present political climate, President Donald Trump’s recent policies and issues Californians are facing. The interview has been transcribed below. Evan Ismail: What do you believe are the biggest and most threatening issues Californians are facing today? 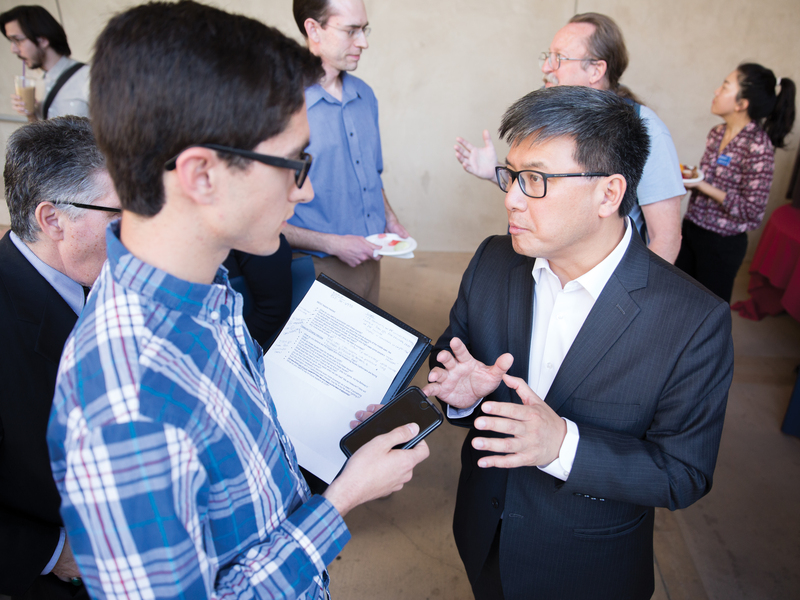 John Chiang: One of my great concerns is the income inequality. Our state is the sixth-largest, highest performing economy but it still has 22 percent of Californians still living in poverty. That’s why I harp on education because if you want to transform their future then you have to make sure that kids and adults today get the training, the skill set so that they can have meaningful, productive and economically secure lives. Ismail: Building off of that, what does that mean for students here at UCR? Chiang: We have to make sure we provide greater support. 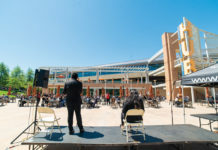 There are too many students, now I don’t know the numbers here at UCR, but if you look at the institutions across California that have not only student loan debt, but there’s housing insecurity, there’s food insecurity and that shouldn’t be happening. Ismail: Since you are running for governor, how would you fix those issues if you do get elected? 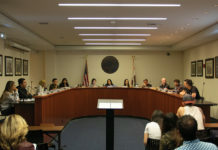 Chiang: Part of that, what I have tried to do, in regards to making sure we have stronger finances so that we can invest in the critical services, especially education, in the state of California. Ismail: In regards to your resolutions for these issues, do you think President Trump threatens those solutions? Chiang: He could, but not necessarily. 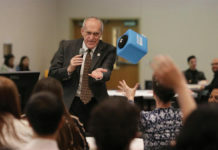 He’s talked about cutting funding for California, so even if he cuts money to other programs, whether it’s healthcare or for environmental research, California is going to have to figure out some of those monies to make sure we have enough money available for other essential services; so, yes. Ismail: In the abstract for this event, it says that we need to “play our game, not the Beltway’s.” What does that mean to you, how do you plan to do that? Chiang: So, we are doing that. We’re talking about green bonds, if he’s (Trump) going to try to cut financing for the environment, for building better infrastructure, this is an opportunity that we can invest in. Ismail: How do you stay true to the title of the event, “Why Resist when we can Lead” motto as treasurer, and how would you continue that as governor? Chiang: We are going to invest in Californians. They can’t stop and frankly we can turn the tide, and change hopes and minds. When people see success, when people pick up on it, if we’re successful with Californians, and we see Canadians, Europeans, the people from Mexico, the people from India, doing the same things, I think the groundswell support from everyday Americans and everyday Californians, they’ll push back against Washington, D.C. trying to stop success in local communities. Ismail: What do you say to future leaders at UCR? Chiang: Take full advantage of every opportunity that you are given. Go talk to your professors, go meet your fellow students, get involved with the communities. Each moment that you’re given another breath, you’re creating your future; get the skill sets, meet the people, beyond your immediate environment. So, if you are interested in government, talk to Mark Takano, talk to your other members of Congress if you want to get an internship back in Washington, D.C. Talk to Audrey Noda if you want to intern in our office in Southern California, the Treasurer’s Office if you want to learning about economic development programs. Talk to your local legislator, or your local mayor, if you are interested in city government. Get involved and start doing it. Why Resist when we can Lead?